If you want to have a full head of hair that looks completely natural, it's a good idea to visit the team here at Millennium Medical in Chevy Chase, MD. Our team offers the latest in hair restoration surrgery, including follicular unit transplantation (FUT), and can also advise patients on non-surgical options if they are poor candidates for FUT. We receive a number of questions regarding the preparation for hair restoration surgery and what patients can expect. Let's cover these matters briefly right now. The pre-operative instructions that you receive from your hair restoration specialist will ensure the best possible conditions for you to heal quickly and free from complications. You will receive detailed, personalized instructions during your visit. The instructions below are general guildelines and will give you a good idea of what to expect during the treatment process. Prescription medications that thin the blood can lead to issues as you heal. That includes medications such as Coumadin, Plavix, and Heparin. The same holds true with beta-blockers. These drugs should not be taken starting two weeks prior to the surgery. Patients should not have their hair cut within two weeks of their surgery. It's ideal for the transferred hair to be at least one-half-inch in length. If needed, we can trim the hair down during the procedure or recommend a minimum/maximum length leading into the surgery. About a week before surgery, patients will be asked to avoid taking aspirin and other anti-inflammatory drugs since these medications can affect the thickness of the blood. Alternative medications will be recommended instead. Smoking and consuming alcohol will both lead to issues with healing. You should avoid smoking (tobacco products in general) and consuming alcohol roughly one week before surgery. Continue to avoid these after surgery until advised otherwise by your surgeon. About a week before surgery, patients will also be asked to avoid dying their hair if they regularly do so. This simply ensures ideal conditions for the hair prior to transplantation. Patients who dye their hair are also instructed to thoroughly wash their scalp in order to remove all traces of dye. If you need to do laundry, clean around the home, or buy groceries, be sure to get that taken care of prior to surgery. By finishing anything that you can get done ahead of time, you will be able to concentrate more on healing and recovery, meaning a must more relaxed healing experience. Patients should thoroughly wash their scalp and shampoo their hair the morning of the hair transplant. Breakfast should be eaten, but patients should avoid coffee or any other caffeinated beverages prior to surgery. 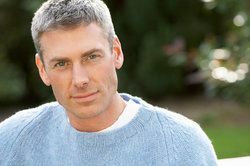 Patients should wear loose, comfortable clothing to the practice, and they should avoid wearing any jewelry or cologne. Feeling as relaxed as possible is imperative to success. If you would like more information about your different options for fighting baldness, be sure to contact our hair restoration specialists today. The entire team here at Millennium Medical will answer your questions in full detail and help you get the exact hair loss treatment that meets your needs.